During the Xmas holidays I had some time to go on with my IDF projects. The Achzarit from Meng is primered and is waiting for some color. Soon I'll also primer my Merkava I from Tamiya. 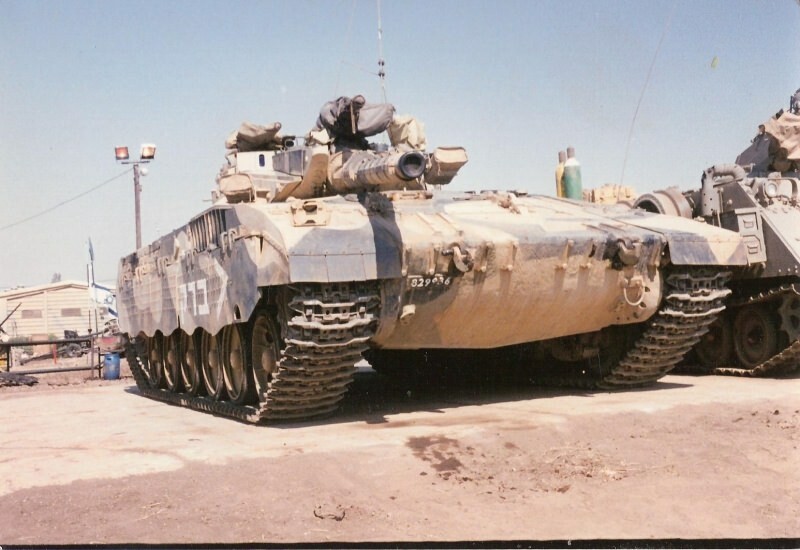 From Ammo Mig I have in stash the IDF Sinai Grey 82 (066) color but I'm not sure for which vehicle I should use it. 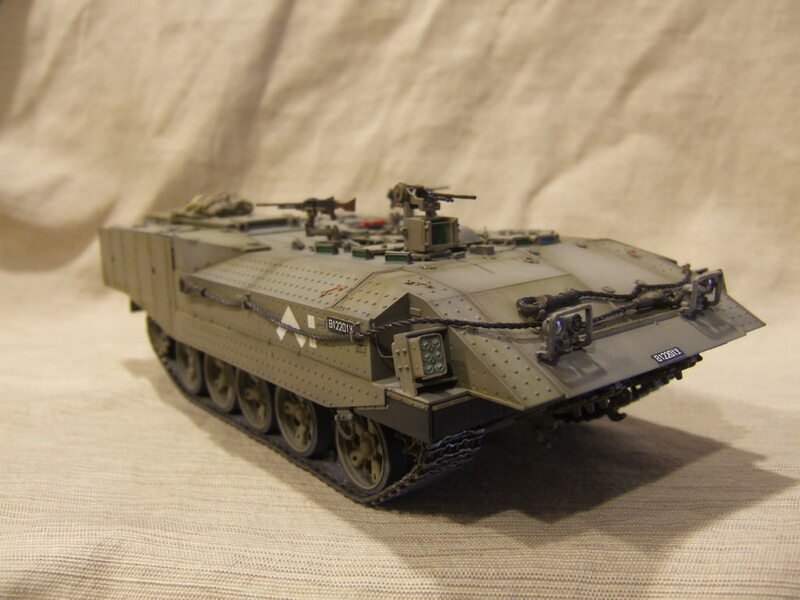 I would like to build the Achzarit from about 1996 and the Merkava from Lebanon 1982 campaing? Does somebody have a recommendation? Nikos thanks for the advise. So the Ammo Mig 066 color fits for Lebanon 1982. Great! Is there a color from the Ammo or AK range which would fit for the Achzarit? AK has one called ‘IDF Sinay Grey 1990’. 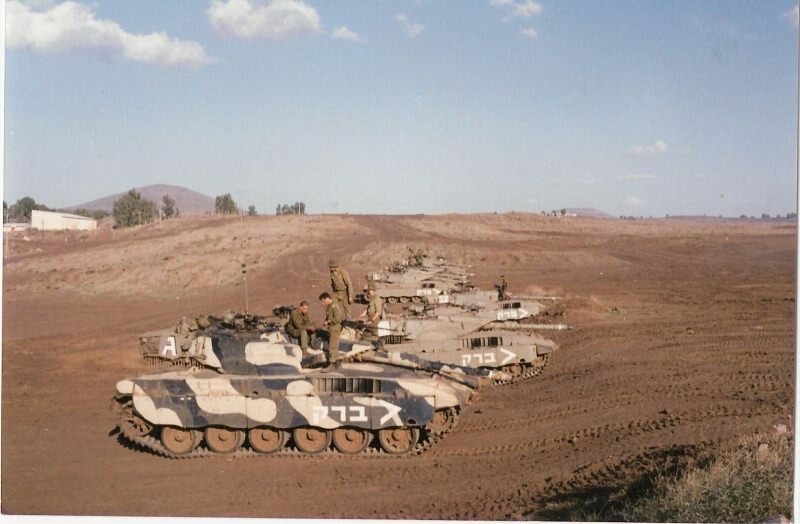 Ammo advises its ‘IDF Sinay Grey ‘82’ for the current scheme, which is kind of true, although the color was slightly revised in the early ‘90s. The Ammo color IDF Sinai Grey 82 (066) I already have in stash. According Nikos (second post) this one fits for the Lebanon 1982 campaign. 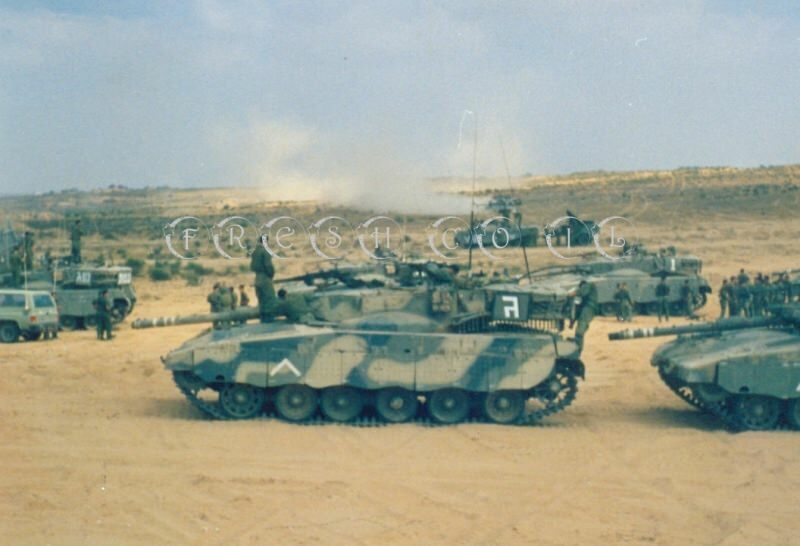 Which color would you recommend for then for a Merkava from 1982? Correct, that should match your Mk.1 during the 'Peace for Galilee' campaign. You could use the same color for your '90s Achzarit as well (close enough to the current color), or, because of the minor revision in the early '90s, add a small amount of green to it as Nikos advised. Now I know what to do. 50/50 mix of Tamiya XF-49 Khaki and XF-20 Medium Gray. Sprayed over a dark gray primer. The current IDF color is such an elusive one that I also prefer to mix it from the Tamiya range rather than using ready-made paints. Has the IDF ever experimented with camo colors? Experimental three-tone camo on Mk.2B from 1988-1990.